LONDON (AP) — As World AIDS Day is marked on Monday, some experts are growing more outspoken in complaining that AIDS is eating up funding at the expense of more pressing health needs. They argue that the world has entered a post-AIDS era in which the disease's spread has largely been curbed in much of the world, Africa excepted. "AIDS is a terrible humanitarian tragedy, but it's just one of many terrible humanitarian tragedies," said Jeremy Shiffman, who studies health spending at Syracuse University. "The global HIV industry is too big and out of control. We have created a monster with too many vested interests and reputations at stake, ... too many relatively well paid HIV staff in affected countries, and too many rock stars with AIDS support as a fashion accessory," he wrote in the British Medical Journal in May. Paul de Lay, a director at UNAIDS, disagrees. It's valid to question AIDS' place in the world's priorities, he says, but insists the turnaround is very recent and it would be wrong to think the epidemic is under control. "We have an epidemic that has caused between 55 million and 60 million infections," de Lay said. "To suddenly pull the rug out from underneath that would be disastrous." "By putting more money into AIDS, we are implicitly saying it's OK for more kids to die of pneumonia," England said. In a 2006 report, Rwandan officials noted a "gross misallocation of resources" in health: $47 million went to HIV, $18 million went to malaria, the country's biggest killer, and $1 million went to childhood illnesses. "There needs to be a rational system for how to apportion scarce funds," said Helen Epstein, an AIDS expert who has consulted for UNICEF, the World Bank, and others. "Diarrhea kills five times as many kids as AIDS," said John Oldfield, executive vice president of Water Advocates, a Washington, D.C.-based organization that promotes clean water and sanitation. "Everybody talks about AIDS at cocktail parties," Oldfield said. "But nobody wants to hear about diarrhea," he said. These competing claims on public money are likely to grow louder as the world financial meltdown threatens to deplete health dollars. "We cannot afford, in this time of crisis, to squander our investments," Dr. Margaret Chan, WHO's director-general, said in a recent statement. Some experts ask whether it makes sense to have UNAIDS, WHO, UNICEF, the World Bank, the Global Fund plus countless other AIDS organizations, all serving the same cause. 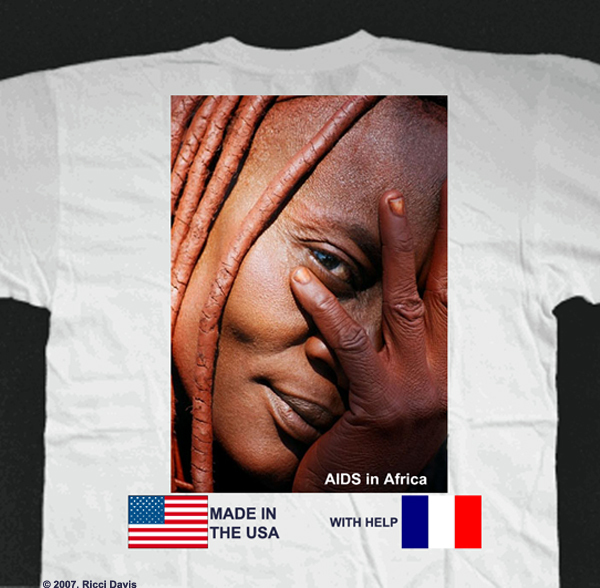 "I do not want to see the cause of AIDS harmed," said Shiffman of Syracuse University. But "For AIDS to crowd out other issues is ethically unjust." De Lay argues that the solution is not to reshuffle resources but to boost them. "To take money away from AIDS and give it to diarrheal diseases or onchocerciasis (river blindness) or leishmaniasis (disfiguring parasites) doesn't make any sense," he said. "We'd just be doing a worse job in everything else."